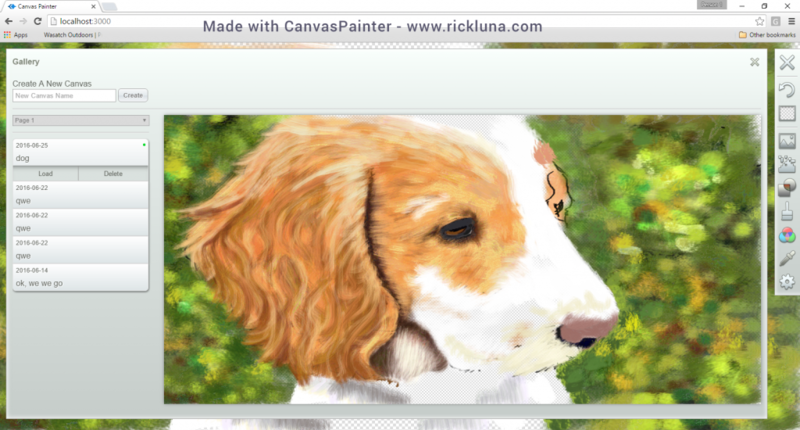 My HTML 5 Canvas Painting App has reached V1! One of the ways a developer shows the passion he or she has for their work is how they spend their free time. I do my best to spend my time learning more about what I like to do. Being a fellow who has a degree in Graphic Design that means that I have spent a lot of time over the years slaving over self-assigned projects in an effort to learn the things that I never learned in college. A few years ago I wrote a canvas signature widget for a PhoneGap’d Sencha Touch-based mobile app. That tiny canvas signature pad was the genesis for the thing that I today call CanvasPainter. While it grew slowly over the ensuing years via bursts of productive energy it mostly languished in the dusty corners of hard-drives and USB memory sticks. That has changed and a lot of time is now being applied to CanvasPainter. 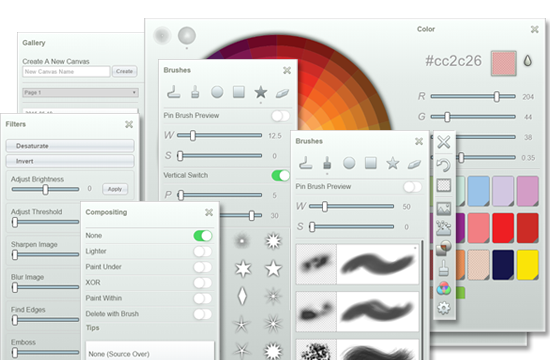 The collage at the top of this page illustrate portions of the CanvasPainter UI – portions of a fully functional web app. A group of beta testers are currently running it through its paces. You will be able to experience CanvasPainter online. If you are inclined, you will eventually be able to buy it from the App Store. The hybrid app version will do things that the web app version does not. What those features will be I’ll share at a later date as I get closer to launch. Anyway, this page serves as my way of sharing my excitement at the approaching V1.0 milestone (huzzah!! applause!!!). CanvasPainter is now available for purchase at the App Store. Took less than 48hrs for it to be accepted – apparently they didn’t find any issue with it. Visit the app’s website at www.canvaspainter.io to learn more about what it does. I will also do a breakdown here at my website running through how the app was made as time allows.